Whenever there is a baby born amongst my friends, I never quite know what I should make as a gift. 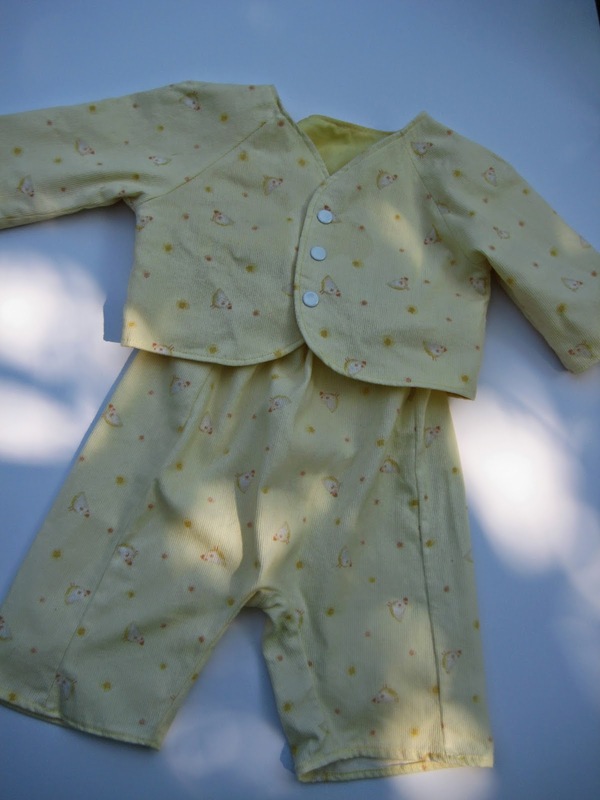 Enter the Lullaby Layette pattern and the problem is solved! I found some yellow pique in my stash and literally whipped this outfit up in no time. It's been washed and ready to go but it truly needs to be worn by a baby in order to get a good photo. Instead of adding bias binding around the outside edge as per the pattern instructions, I left an opening in the lining at the side seam. Then I stitched all around the outside edge and then pulled everything through the lining opening. To finish, edge stitched around the outside edge and hand stitched the opening in the lining. 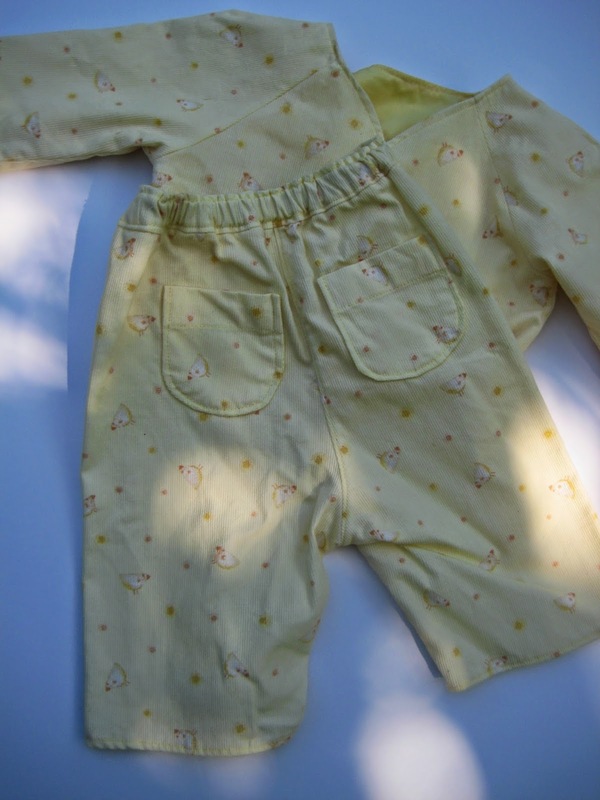 The fabric is a delicate yellow with little chicks. Perfect generic baby fabric. I like the little back pocket details on this pattern. I'll make up the bodysuit too from this pattern so I'll have a small stash of baby gifts when the occasion arises. And since I just learned how to knit, make a few hats and cardigans to go with them too. I like your finishing method too. Darling outfit and will be perfect for a boy or girl! I like the idea of having a stash of baby gifts.